Remove core and finely shred cabbage. Heat oil in deep, heavy skillet or Dutch oven. Saute cabbage over medium high heat for about 10 minutes, stirring often. Remove from heat. Sprinkle with salt, pepper, and brown sugar. Return to heat, and cook, stirring, until the sugar dissolves. 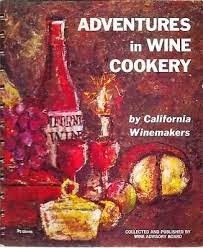 Combine wine, wine vinegar, and corn starch. Add to cabbage, mixing well. Simmer about 30 minutes. (More sugar or vinegar may be added, to taste.) Serves 6 to 8.